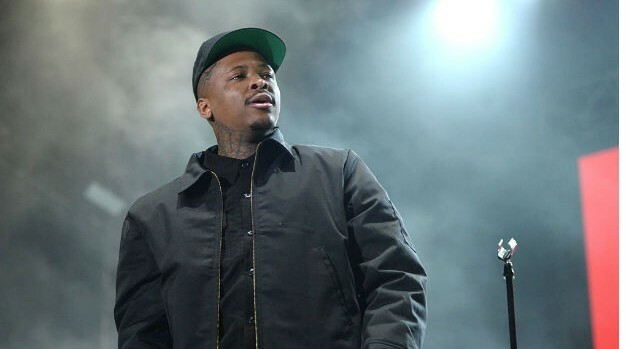 Scott Dudelson/Getty Images EntertainmentThe secret service is keeping a trained eye on Compton rapper, YG. The recent release of his Nipsey Hussle collaboration, “FDT” (Fu*k Donald Trump) has authorities questioning him about his music. “Secret service hollering’ at the label,” YG told TMZ at Los Angeles International airport. “They asked to see the lyrics on my album to see if I’m talking about him on my album. If I’m talking about it on my album, they’re gonna try to take it off the shelves,” he explains. Although the Def Jam artist has not officially confirmed any details about his sophomore album, his latest track “FDT” has already made headlines. LAPD shut down the rapper’s video shoot last month saying that there was no violence among the “hundreds” of people that gathered, but citations were handed out because of illegally modified exhaust systems, excessive speed, and loitering for the general purpose of street racing. YG explains that the intention of “FDT” wasn’t to incite violence but to get people to the polls. “We tryna touch the people, we tryna motivate all the young people to vote,” he says. “Go really take your time out and vote on who should be in office ’cause it’s important, you feel me. If not, it could be all bad for us,” he adds. “FDT” is available to listen on Soundcloud.